Researchers free up more bandwidth by compressing “objects” within the memory hierarchy. This week the American Academy of Arts and Sciences (AAAS) announced that MIT professor David Karger was among their new 2019 members. 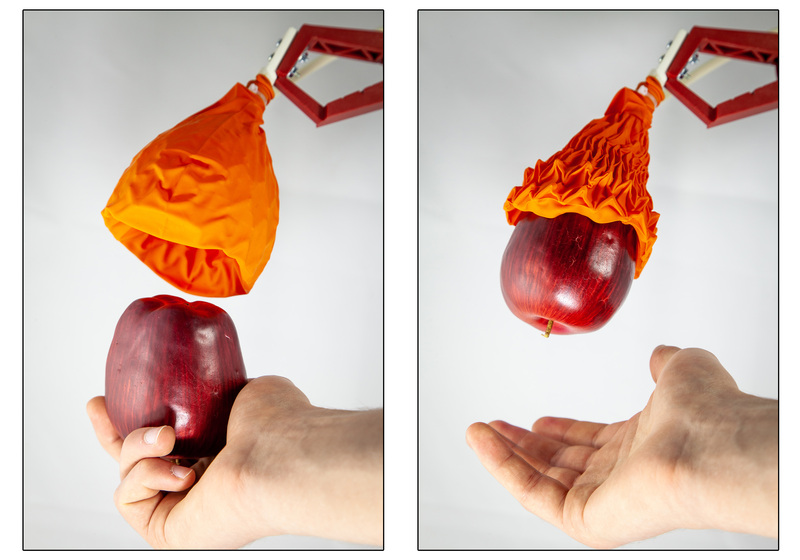 CSAIL model improves a robot’s ability to mold materials into shapes and interact with liquids and solid objects. Dream Team of Engineers, Computer Scientists, and Neuroscientists from BU, MIT, and Australia to develop neuro-inspired capabilities for Land, Sea, and Air-based Autonomous Robots. New architecture promises to cut in half the energy and physical space required to store and manage user data. Technique could improve machine-learning tasks in protein design, drug testing, and other applications. This week it was announced that MIT professor Julian Shun has received a National Science Foundation Career Award, a prestigious award for junior faculty. Congratulations to Robert Morris, new member of NAE! Last week MIT’s Computer Science and Artificial Intelligence Laboratory (CSAIL) hosted a discussion with New York Times best-selling author Liza Mundy on her latest book, “Code Girls”, about the American women who cracked the Japanese and German code to help win World War II. 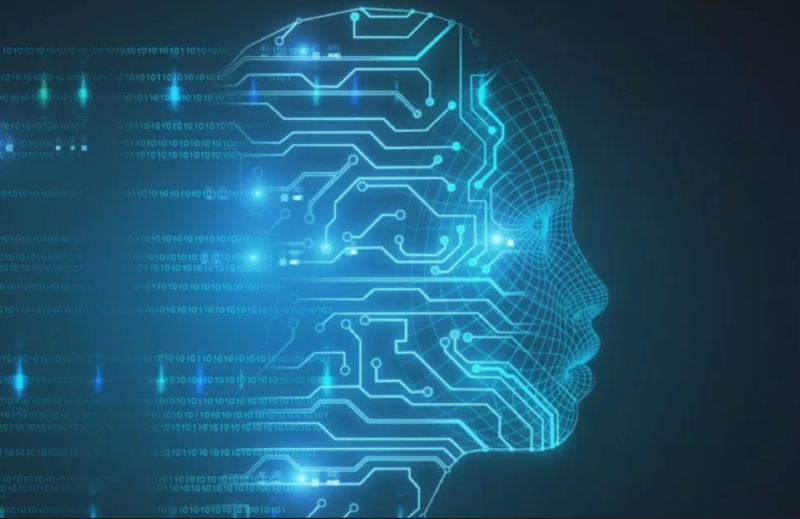 This week CSAIL principal investigators Regina Barzilay, Tommi Jaakkola, Manolis Kellis and Peter Szolovits were named among the top 100 global leaders for AI and health. MIT professor Stefanie Mueller has received a National Science Foundation Career Award, a prestigious award for junior faculty. Researchers pinpoint the “neurons” in machine-learning systems that capture specific linguistic features during language-processing tasks. Algorithm could help autonomous underwater vehicles explore risky but scientifically-rewarding environments. Nicolas Miailhe, a co-founder of the Future Society, asking a question during a gathering of global policymakers last week at the Massachusetts Institute of Technology. Computer scientists often develop mathematical models to understand how animals move, enabling breakthroughs in designing things like microrobotic wings and artificial bone structures. 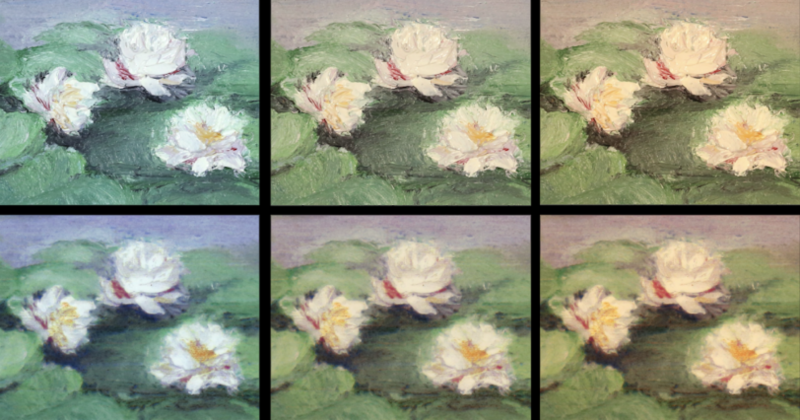 CSAIL's new RePaint system aims to faithfully recreate your favorite paintings using deep learning and 3-D printing. Machine learning system efficiently recognizes activities by observing how objects change in only a few key frames. A "GPS for inside your body"
CSAIL wireless system suggests future where doctors could implant sensors to track tumors or even dispense drugs. 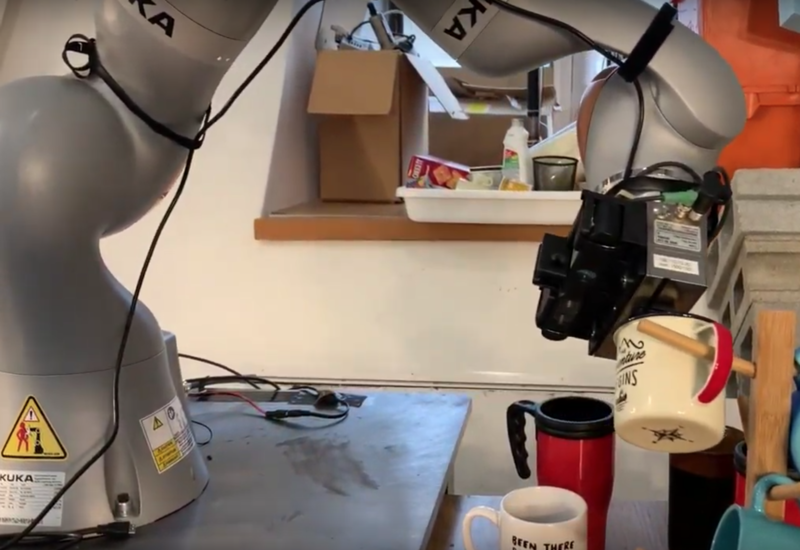 Activity simulator could eventually teach robots tasks like making coffee or setting the table. For all the progress made in self-driving technologies, there still aren’t many places where they can actually drive. Companies like Google only test their fleets in major cities where they’ve spent countless hours meticulously labeling the exact 3-D positions of lanes, curbs, off-ramps, and stop signs. Every spring, engineering students from MIT and law students from Georgetown University overcome the distance between their institutions and disciplines in a semester-long flurry of virtual classroom meetings and late-night Google hangout sessions, culminating in presentations to policy experts in DC. Made of silicone rubber, CSAIL’s “SoFi” could enable a closer study of aquatic life. CSAIL's NanoMap system enables drones to avoid obstacles while flying at 20 miles per hour, by more deeply integrating sensing and control. With new approach, researchers specify desired properties of a material, and a computer system generates a structure accordingly. CSAIL system uses custom ink and ultraviolet light to repeatedly change an object's color. This past year MIT’s Computer Science and Artificial Intelligence Laboratory (CSAIL) was at the forefront of many diverse technological innovations covering a breadth of topics, from healthcare and cybersecurity to self-driving cars. Babies as young as 10 months can assess how much someone values a particular goal by observing how hard they are willing to work to achieve it, according to a new study from MIT and Harvard University. Sometimes it’s easy to forget how good we humans are at understanding our surroundings. Without much thinking, we can describe objects and how they interact with each other. October 12, 2018 - Eric Horvitz of Microsoft Research Labs gave a CSAIL seminar entitled "AI Advances and Aspirations." October 1, 2018 - Jeff Dean of Google gave a CSAIL seminar titled "Deep Learning to Solve Challenging Problems." September 26, 2018 - Vladimir Vapnik of University of London and Columbia University gave a Dertouzos Distinguished Lecture titled "Learning Using Statistical Invariants (Revision of Machine Learning Problem)"
September 12, 2018 - Kate Starbird of the University of Washington gave a Hot Topics in Computing Lecture titled "Muddied Waters: Online Disinformation During Crisis Events." May 2, 2018 - Sir Tim Berners-Lee of MIT gave a Dertouzos Distinguished Lecture titled "From Utopia to Dystopia in 29 Short Years." How Could Machines Learn as Efficiently as Animals and Humans? November 1, 2017 - Yann LeCun of New York University and Facebook AI Research gave a Dertouzos Distinguished Lecture titled "How Could Machines Learn as Efficiently as Animals and Humans?" February 8, 2017 - Bill Thies of Microsoft Research India gave a Dertouzos Distinguished Lecture titled "Frugal Innovations for a Developing World." 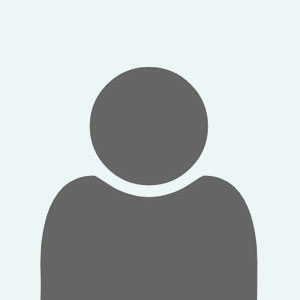 Hacking Archaeology: Beyond Shovels or iSandbox? November 2, 2016 - Sarah Parcak of the University of Alabama gave a Dertouzos Distinguished Lecture titled "Hacking Archaeology: Beyond Shovels or iSandbox?"